My family is one to collect random things, however as of late I have been more inclined to show rather than keep all our finds in drawers. My first attempt at this generated my favorite room in my apartment. I successfully tackled my magnet collection in the form of a magnetic wall for the service bathroom in which I displayed my collection, decorated the bathroom and made a conversation starter for guests in my house. This is important because good design has to provide three things for me: making you feel comfortable, being beautiful but also expanding the conversation. 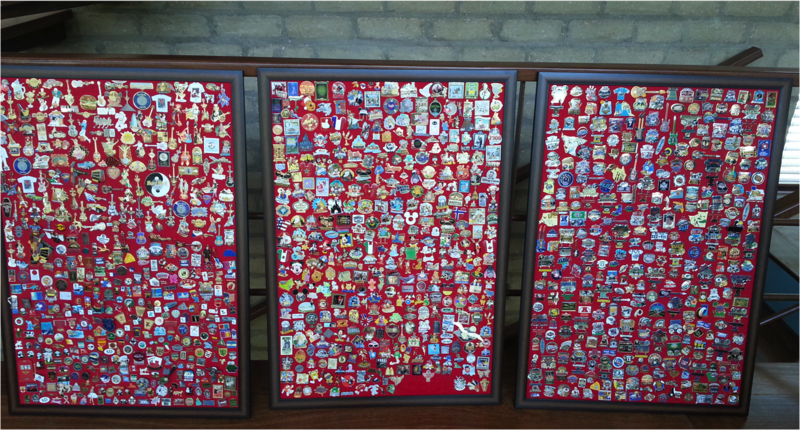 My latest project: My Family´s pin collection. We have been collection pins for years (over 15!) 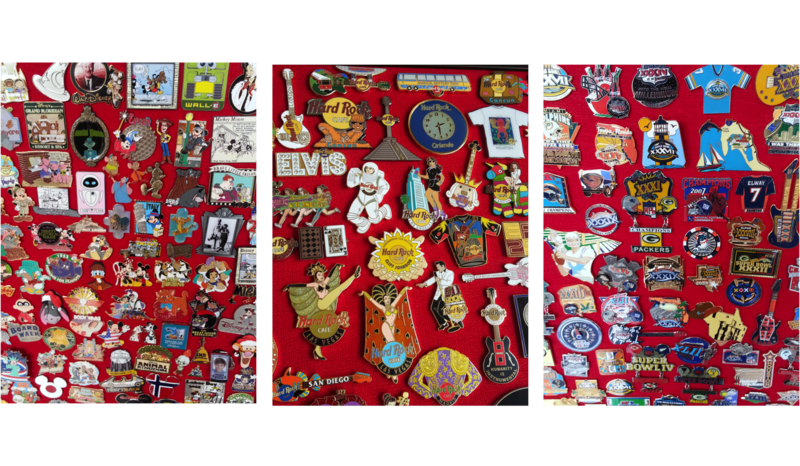 and we have amassed quite a nice collection (Disney Trading Pin booths are a family fave!). So when facing with decorating a new study I decided that I wanted with them. I had hundreds of Pins and a blank wall – time to get creative! I decided I wanted to make wall art with the Pins. The How was more complicated. After a couple of material trials y decided to go with cork – why? because it would look like a sophisticated pinboard but most importantly it would make us be able to switch around the pins and change the display in case we got new ones. Any other softer materia, or things that required use of the backing, it would make the display too static, and not allow for the inherent nature of a collection – new things are added! However, this was my parents study and cork board that looked like a teenagers bedroom would just not do. to prevent this, the cork was covered in a beautiful textured red, that added warmth to the room, complemented the wood and brown furnishings in the room and was a nice accent to the orange in the adjoining rooms. 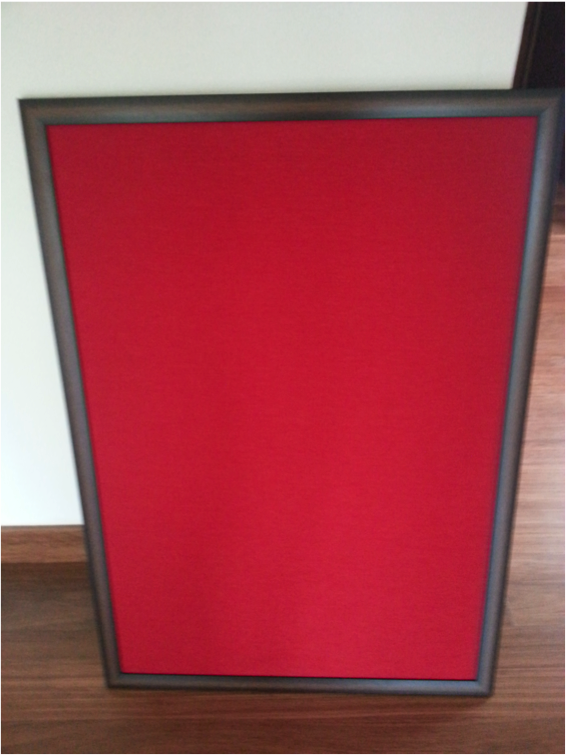 Then – to finish it of more professionally, They got sent to be framed in wood – in the same tone as the floors. Unlike my magnet collection where my aim was to mix and match and have no thematic trend to the walls, here I categorized the canvases: One for Disney, one for Super Bowl/Sports the last one for random/Hard Rock & Travel pins — this allowed for better display, color coordination and less thought when adding new ones. And besides, with the new display we can alway change it afterwards!